Our sweet Campbell Elias Cole. Our first baby, our son, the tiny human who made us Mama and Daddy. His story is one that will forever speak to the sovereignty of God and I cannot wait until the day we can tell our precious boy all about how God brought him into our family. I obviously will leave a lot of details out here just for the sake of privacy and our son’s story being just that… his. We want to always be protective of him and his unique story as we honor him and his first mama in what we choose to share with others. His story of joining our family starts before we ever even heard about his case. His story of joining our family starts with the brokenness and heartbreak of a failed match. I never blogged about it, but the match that we so joyfully celebrated at the beginning of September sadly failed on September 19, 2016. My birthday. On September 18, 2016 a precious little boy was born in south Florida. 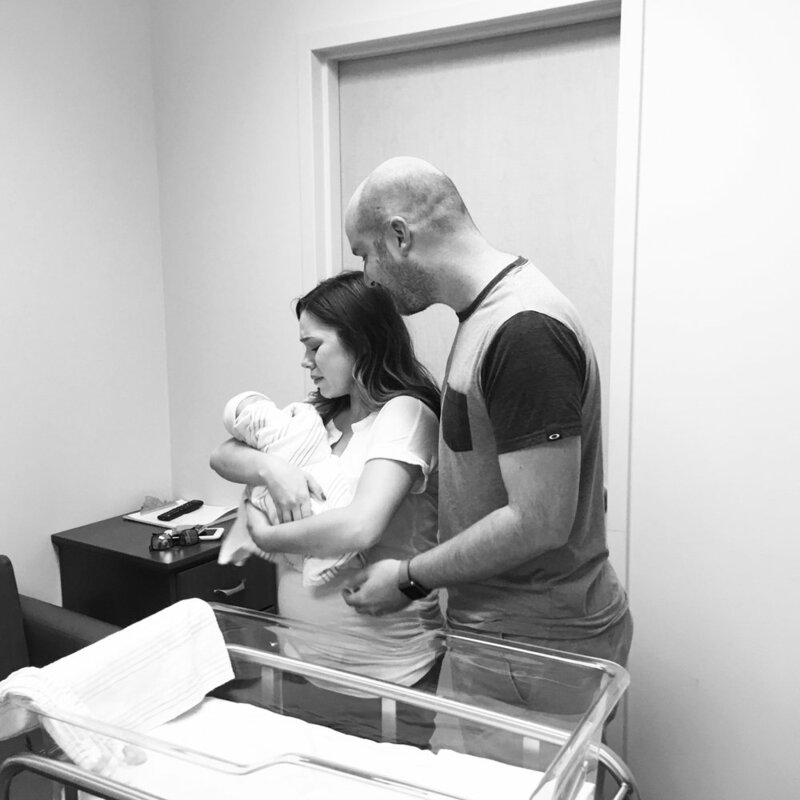 We eagerly woke up on September 19th, hopped on a plane, and waited not so patiently at our hotel for the word that we could head to the hospital to meet our son, our Crosby Ellis. Hours passed and we got a call. Not the call we waited on. The call that this boy’s first mama was having doubts about placement. We were told that we would get a final word several hours later, so we waited. Later that evening our agency worker showed up in a hotel lobby to tell us that we would be returning home without the baby boy we thought was our son. For the rest of my life I’ll never forget that day. I can remember almost every single detail of that day. It was excruciatingly painful. 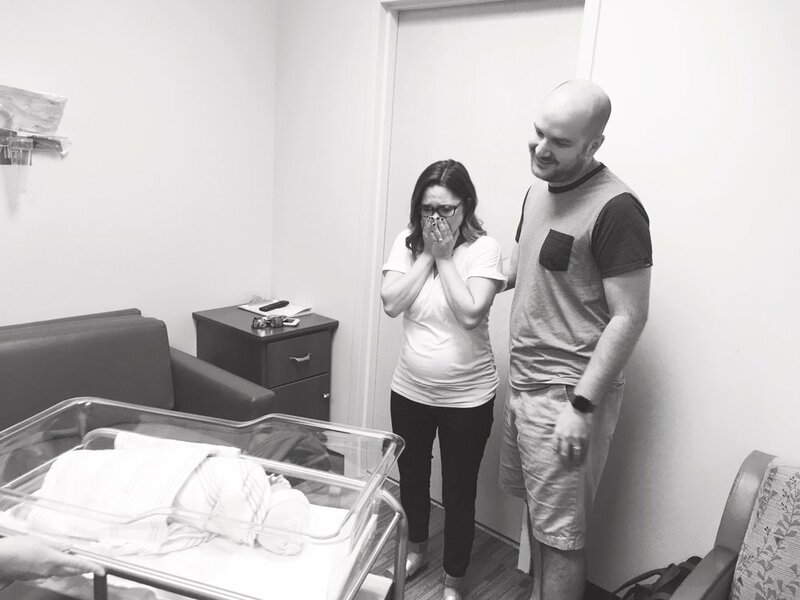 But that pain, that brokenness, that heartbreak… opened the door wide open to the baby boy that’s now napping in our nursery. A little backstory on how our adoption process worked: We worked with Faithful Adoption Consultants (WE LOVE YOU SO MUCH) and so we were open to matching with LOTS of agencies around the country. We didn’t start the process with just one agency, but we worked instead with a consultant who was able to send us cases from lots of different agencies. (It can be confusing- I hope you’re tracking!) The agency we worked with for our failed match was so gracious to us as we walked through the heartbreak. About a week after our match failed, I got a call from our agency worker who, since we just had a failed match with them, wanted to present a new case to us. Tyler and I laid in bed with our worker on speaker as we listened to the details of a new case. To jump back to how our adoption process worked, we would probably have never been presented with Campbell’s case if it hadn’t been for our failed match, if we hadn’t already been connected with this agency. Losing the little boy we thought was our Crosby Ellis opened the door to Campbell Elias. This will never stop blowing my mind. The Lord was working out every detail perfectly, even in the midst of such great pain and struggle. We were terrified of saying yes. Absolutely terrified. But we put our yes on the table. The next six weeks were a mix of grief, excitement, anxiety, and fear. The baby’s gender had been unknown as well as a definite due date. The expected due date was October 24th, but we were waiting on an ultrasound to confirm. On October 18, 2016 we found out that the sweet baby on the way was a BOY and that he wasn’t due until the end of November. The news that he wasn’t due for another 6 weeks was hard for us to swallow for several reasons. One, the wait was incredibly hard as we both feared another failed match. Thinking about waiting another 6 weeks sounded impossible! Two, with our Crawford being due in the middle of January we knew that they would be VERY close in age. It took several days for me to process these things and really just trust the Lord with the timing of it. Little did we know… we would be meeting him in less than a week! the morning we officially said "yes"
On October 23, 2016 I got a call from our agency worker as I was picking up groceries at walmart after a photoshoot. She usually texts me so anytime she calls me I know something is going on. I picked up on the first ring and she said “so this isn’t a travel call but…” and then proceeded to explain that our birth mama was headed to the hospital to get some things checked out. Not long later I got the text that our birth mama was in fact in labor and baby boy was coming soon! We quickly started to make arrangements, pack, and get things ready to travel to Texas to meet our boy! I finally fell asleep around 3am and a few hours later we were up and on the road. We were both anxious and just ready to finally do this. We were almost to Texas when we finally received word that he had been born the night before and his stats. A tiny four pound eleven ounce boy!!!! We both couldn’t believe he was so tiny, but I guess that’s to be expected when you’re five weeks early. The precious nursing staff got us a room set up, one nurse grabbed our camera, and soon after they wheeled in a bassinet where the tiniest boy laid. I sobbed and sobbed as we saw him for the first time. This was it. He made me a mama. From the second my eyes saw him… he was our son. It was one of the most powerful moments of my entire life. We were able to stay in that tiny “family room” with him throughout his hospital stay and we are so so grateful for the nurses who loved on us and took such great care of Campbell! 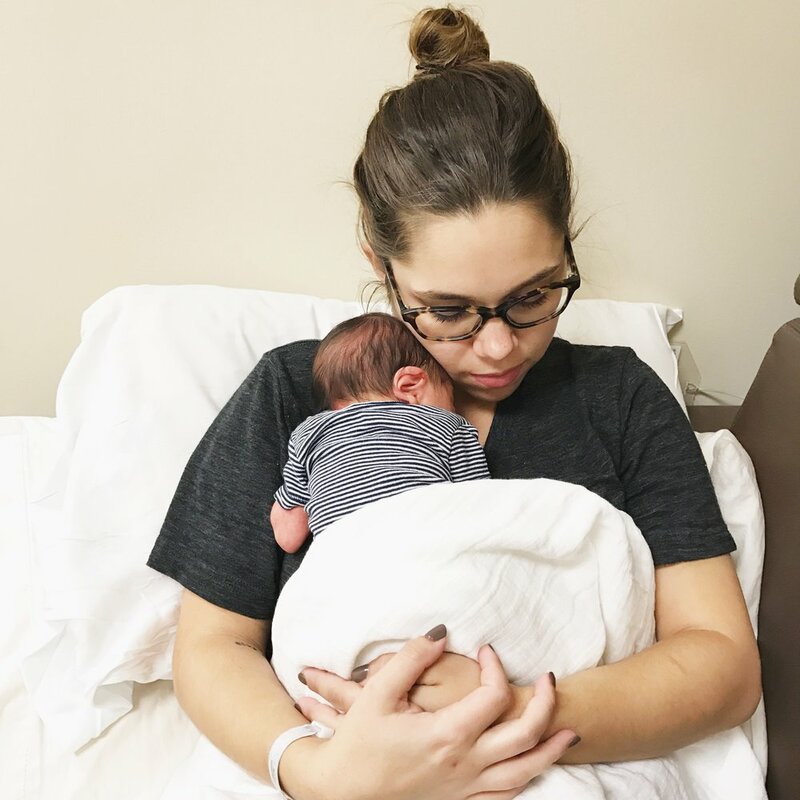 We didn’t expect to be able to stay with him at the hospital so it was such an unexpected joy. October 25th, 2016 his first mama gave me the greatest gift. She allowed me to be his mama. There will never be a day were I’m not insanely grateful for her and how she has impacted our family by allowing us to be Campbell’s Mama and Daddy. She is brave and strong and someone I will love and honor with my words for the rest of my life. 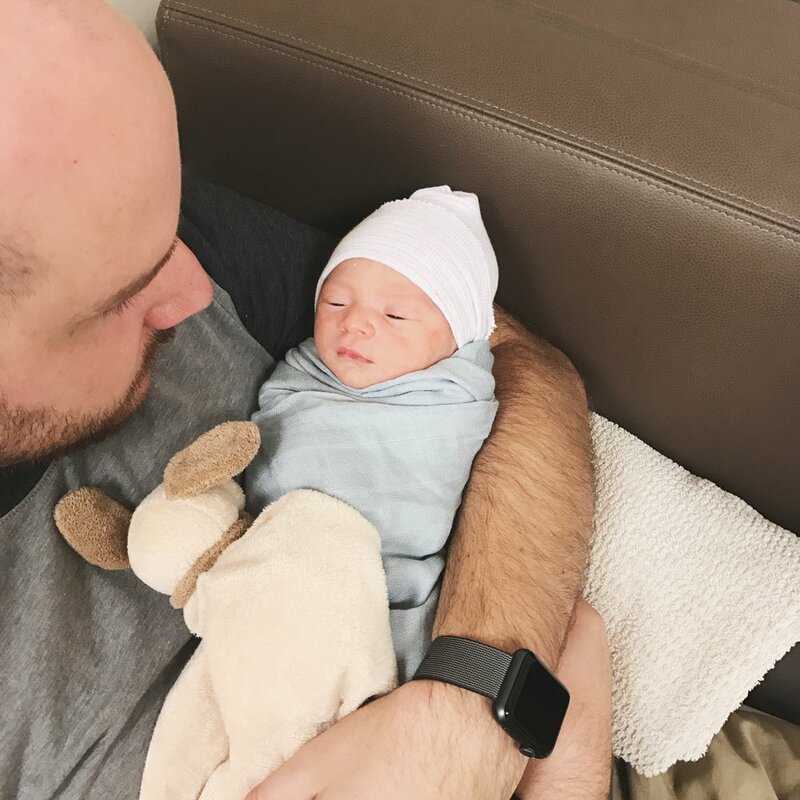 On October 26th we got to leave the hospital and start life with our boy! We rented a condo to make life a little easier as we waited for all the legal stuff to happen for us to be able to travel home. I’ll always look back on our first days with him and our little Texas condo so fondly! On Halloween we packed up our stuff and headed to the Strader’s house! Their house was a perfect place for us to stay for a few days as we continued to wait for all the legal stuff to come through that would allow us to travel back to Mississippi. Being at their house got a little closer to home and also allowed us to be in community for a few days, something we had desperately been missing! On the way to their house we stopped at the Magnolia Silos for a feeding and it was so fun to look around for a second, feed our boy, and have a treat! I cannot wait to go back one day sans newborn! Ha! We finally arrived at the Strader’s house and the boys got into their Halloween costumes! Charlie Brown and the Great Pumpkin. :) As soon as we were matched at the beginning of September with Crosby (we will always refer to him as that in our family!) I started thinking about Halloween costumes and we quickly settled on a family theme of Charlie Brown! I would be Lucy, Tyler would be Linus, and Crosby would be Charlie Brown. I ordered a tiny Charlie Brown onesie and it came in the day before Crosby was born. When we were in Florida after we received the call that his birth mom was wavering on her decision and our sweet worker encouraged us to get out and do ANYTHING to keep busy and not just wait in a hotel room. We ventured out to the mall, holding hands the entire time, desperate to keep it together. I had been looking for a tiny Snoopy for Crosby to have with his costume and we went into the Hallmark store and found the perfect tiny Snoopy! We bought it with hope of bringing Crosby home. After our failed match, that was something that hurt tremendously. It seems like something as trivial as Halloween wouldn’t hurt that much, but it caused me so much grief to get home and put away that tiny Charlie Brown onesie and Snoopy doll. And then… we get the call on October 23rd that our Campbell was coming. We got the onesie and Snoopy out of the storage box and packed it in our bag. Being able to put Campbell in that onesie with a little Snoopy nearby was such an unnecessary but sweet gift from the Lord. It reminded me of Crosby and gave me so much joy for the story the Lord was writing. This will always be such a precious part of our story to me. After a few days with the Straders, we were ready to travel home! It went surprisingly well with Campbell sleeping the entire time except when we stopped to feed and change him. We were greeted home by some of our greatest friends and sweetest family. You can read all about Campbell’s homecoming here! Our journey to Campbell is one that I will always, always cherish. He’s our son. The Lord knew that he would be in our family from the beginning of time. His adoption was always "plan A" and the Lord has woven our stories together so beautifully. Adoption is messy and hard and involves loss in lots of ways. But it's also beautiful and sweet and full of the gospel. I can't talk about our adoption without saying a huge thank you to Courtney with Faithful Adoption Consultants and her whole team. Courtney works tirelessly to serve, love, and support adoptive families while also doing the same for birth mamas and their babies. We were always encouraged to love and pray for each birth mom we learned about and with the help of Courtney I feel like we were really able to keep a good perspective and always have so much respect for these first mamas. We are so grateful for Colores Adoptions and Reggie, Lindsay, and Nikki who loved us well through our loss with Crosby and then our match with Campbell. 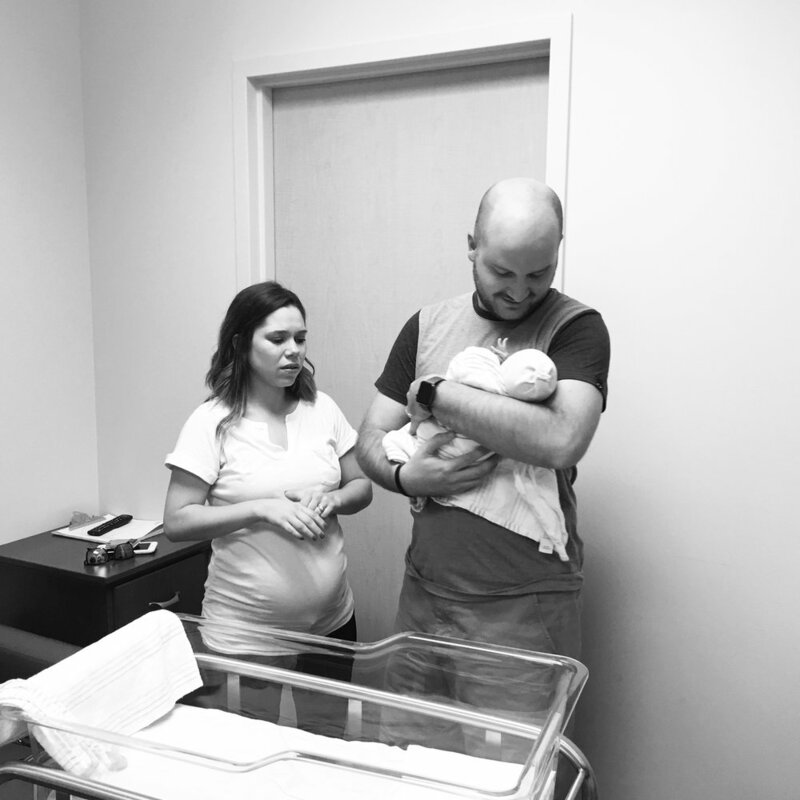 The Lord worked so mightily in those weeks and I'm so grateful for the work that these three have done and are doing for other mamas and families! It's evident they serve and love their birth mamas fiercely and they teach their families to do the same. We are so grateful for the way they will always have a part in our story! Adoption truly takes a village... and I'm so thankful for ours.